Waydoo Flyer-- We are seeking for agent! I hope that I did not bother everyone. This is Elle from Waydoo Intelligence Technology company, Our eFoil product “Waydoo Flyer” launched in Jan. 2019 CES, Waydoo Flyer is very popular in the market and we are also receiving emails from enthusiasts from all over the world. We are seeking for agents! 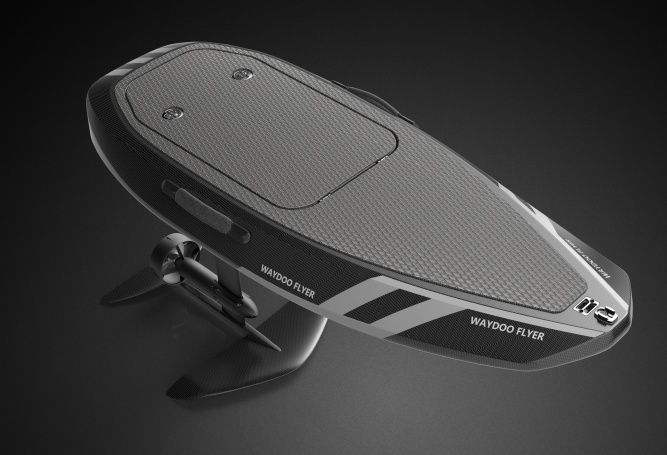 Waydoo is a high-tech enterprise which integrates the R&D, production and sales of products of watersports technology. its parent company, Shenzhen Xiangnong Innovation Technology Co., Ltd. is one of the leading manufacturers of agricultural UAV in China. We obtained the Angel-round and A-round investment from Shenzhen Dajiang Innovation Technology Co., Ltd.(DJI). Sharing the 9 years’technology accumulation in UAV industry, Waydoo’s team are experienced in structural design, mechanical engineering, fluid mechanics, industrial design, electromechanical design, software development and equipment manufacturing. We have absolute confidence in our products! Any questions do not hesitate to contact with us! We hereby sincerely invite you and your company representatives to visit our booth at Singapore Yacht Show from April 11th to 14th 2019. 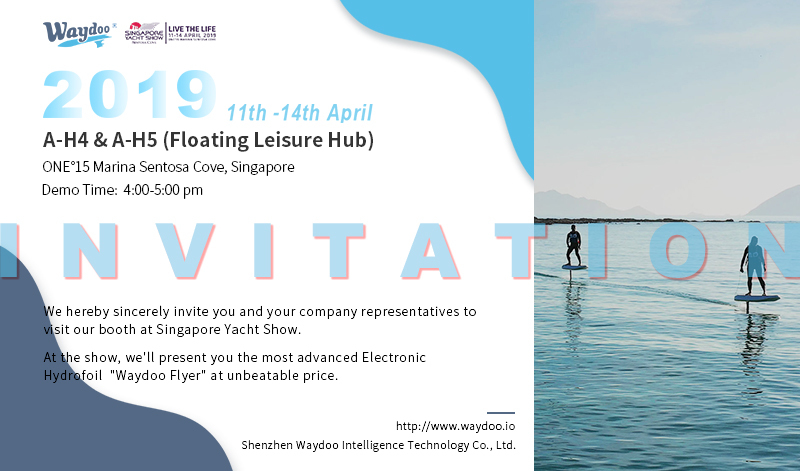 At the show, we’ll present you the most advanced Electronic Hydrofoil “Waydoo Flyer” at unbeatable price. Booth No: A-H4 & A-H5 (Floating Leisure Hub). Demo Time: 4:00-5:00 pm 11st -14th April. Add: ONE°15 Marina Sentosa Cove, Singapore.